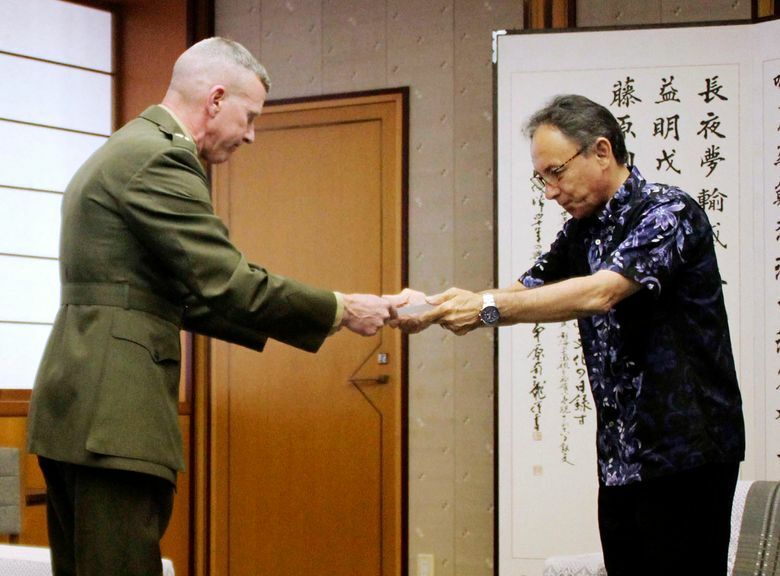 TOKYO (AP) — A U.S. Marines commander in Japan has asked service people in the southwestern region of Okinawa to keep a low profile to show respect after a sailor allegedly stabbed a Japanese woman and then killed himself, the latest in a series of crimes that have outraged residents. “As a sign of respect to a community that is angry and in shock, we should be unobtrusive,” Lt. Gen. Eric Smith said in a letter dated Sunday. The U.S. military identified the sailor as Gabriel A. Olivero from North Carolina. Japan’s Foreign Ministry said the sailor stabbed the woman and killed himself Saturday. Although Okinawa accounts for less than 1% of Japan’s land space, it hosts about half of the 54,000 American troops stationed in Japan, and is home to 64% of the land used by the U.S. bases in the country under a bilateral security treaty.